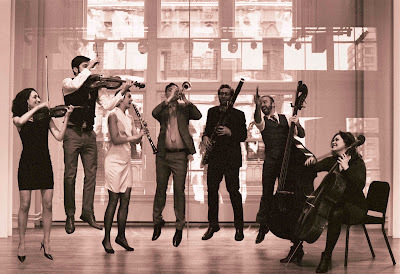 The Decoda Ensemble of Carnegie Hall will perform at the Tatham Art Gallery in Pietermaritzburg on June 18 to help raise funds for the gallery’s flood relief fund. Empowering the voices of a frequently-ignored community, the programme has been recognised by CNN, Huffington Post, the Associated Press, the Washington Post, and Billboard Magazine. In the past season, Decoda was invited by President Obama’s administration to perform on two occasions at the White House at events dedicated to the arts and criminal justice reform. The concert in Pietermaritzburg, which has been facilitated by the Decoda Institute in South Africa (DISA), will feature: Mendelssohn’s Scherzo from A Midsummer Night’s Dream; Ligeti’s Five Bagatelles for Wind Quintet, III. Allegro giocoso; Ravel’s Sonata for Violin and Cello, II. Tres vif; Gould’s Benny’s Gig for Clarinet and Double Bass, V. Slowly; Norman’s The Companion Guide to Rome, IV. Pietro; Shaw’s Woodwind Quartet; Norman’s The Companion Guide to Rome, VII. Lorenzo; Schulhoff’s Divertissement for Wind Trio, IV. Charleston; Balliett’s This Horse Ain’t Beholden… for Woodwind Quartet; Prokofiev’s Quintet, Op. 39, III. Allegro sostenuto, ma con brio; Lutoslawski’s Dance Preludes 195; and Brahms’ Serenade No. 1 in D Major, Op. 11. The Decoda Ensemble of Carnegie Hall will perform at 15h00 on June 18 at the Tatham Art Gallery. Tickets R120 minimum donation. Booking is preferred on email chris@fotag.co.za or send an SMS or WhatsApp to 083 417 4473.